CV-3 was named for the Battle of Saratoga, September and October 1777. It was a decisive American victory resulting in the surrender of an entire British army of 9,000 men invading New York from Canada during the American Revolutionary War. 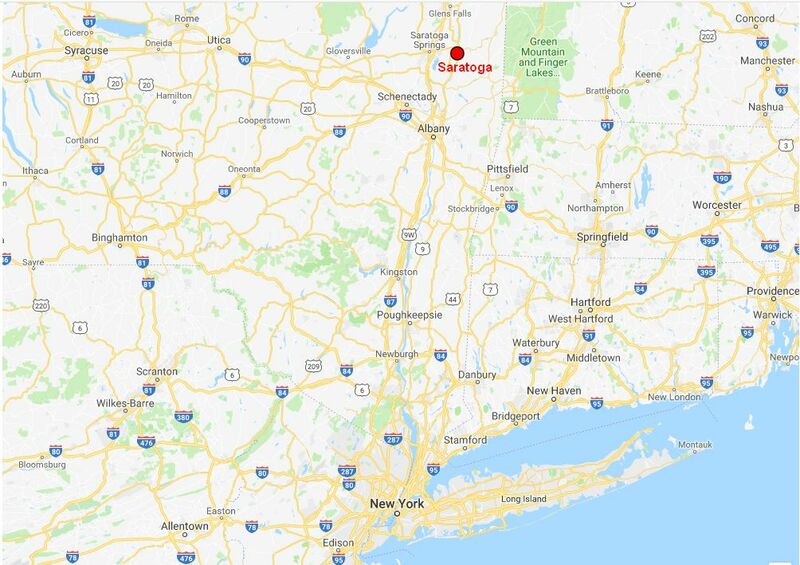 The Battle of Saratoga was actually two battles about 9 miles south of Saratoga, New York (NS020351a), namely the Battle of Freeman's Farm and the Battle of Bemis Heights, and is related with the earlier Battle of Bennington, about 15 miles east of Saratoga. 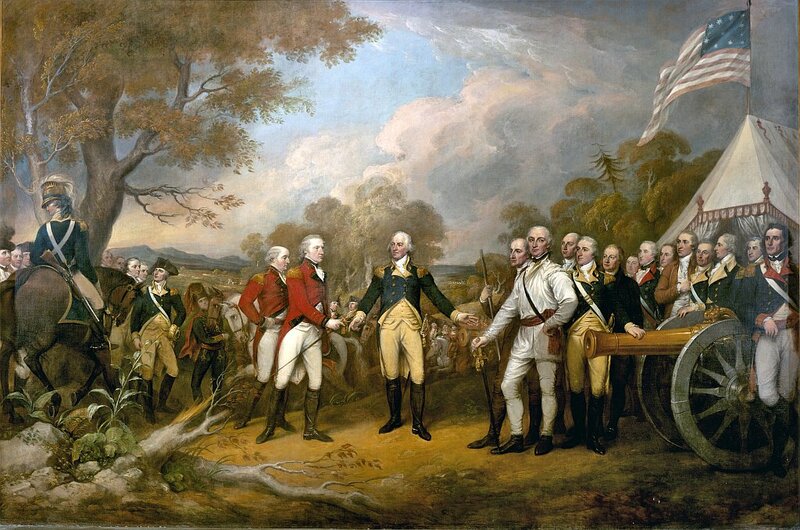 The surrender of General John Burgoyne, who was surrounded by much larger American militia forces, took place after his retreat to Saratoga. The capture of an entire British army secured the northern American states from further attacks out of Canada and prevented New England from being isolated. A major result was that France entered the conflict on behalf of the Americans, thus dramatically improving the Americans' chances in the war. The Battle of Saratoga was the turning point in the Revolutionary War. The first Battle at Saratoga, generally referred to by historians as Freeman's Farm, began with John Burgoyne's offensive (19 September)—the British lost two men for every one American casualty. In terms of ground gained, however, both sides fought to a draw. In the second Battle, otherwise known as Bemis Heights (7 October), British losses were four to one. The rebels' victory was overwhelming. After negotiations, Burgoyne officially surrendered on 17 October. He returned to England in disgrace and was never given another command. When news of the American victory reached Europe, France entered the war on the side of the patriots. Money and supplies flowed to the American cause, providing Washington's Continental Army with the support necessary to continue its fight against Great Britain. Britain's loss at Saratoga was disastrous because it showed the European powers that the rebels were capable of defeating the English on their own. More than any other event, it would prove decisive in determining the eventual outcome of the War and the victory of Patriots. NS020351: Surrender of General Burgoyne, painting by John Trumbull (1822); photograph by the Architect of the Capitol. Map courtesy of HamsterMap.com. Partial text and painting courtesy of Wikipedia.